Within four years’ time, Kitsap County’s 911 dispatch center and its morgue went from being among the most antiquated in the state to the most sophisticated. Kitsap County Central Communications moved from a toll house on Warren Avenue into an $11 million, state-of-the-art facility in West Hills in 2005. Four years later, the coroner’s office, once housed in a dilapidated house next to the jail, also moved to West Hills in a $3.6 million campus still considered among the most advanced in the state. 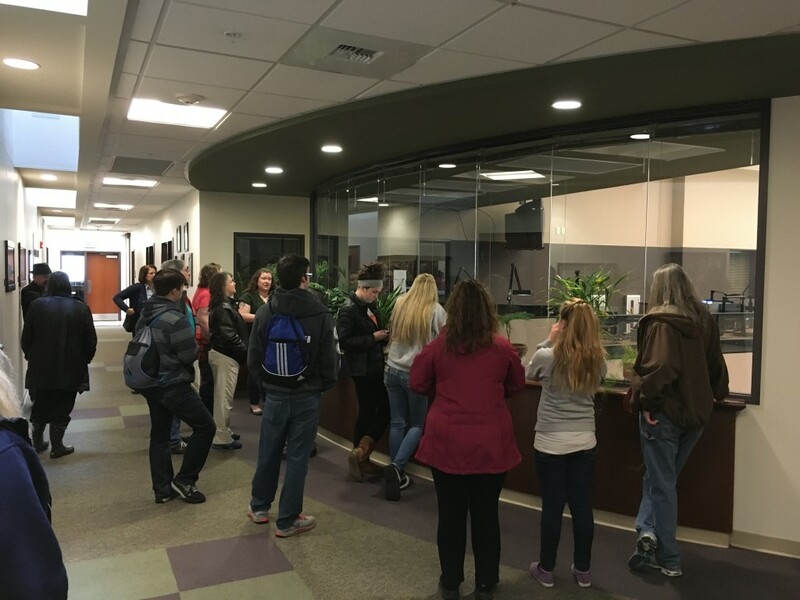 On Saturday, nearly 200 people came to the Kitsap Sun’s latest Story Walk at the two facilities, getting an inside look into the life of a coroner and a dispatcher. Within the dispatch center, Brandy D’Intinosanto, its dayshift supervisor who has been with the agency more than 12 years, led tours right to the floor of dispatch, the high-tech, bulletproof hive of the county’s emergency response system. It continues to be on the cutting edge, as Kitsap was the first to allow residents to text 911, she said. Our 911 dispatchers create 200,000 cases, or “details,” every year. They handle even more calls than that. D’Intinosanto mentioned that even if most, if not all of their generator-backed technology were to fail, they are still trained in a handwritten card system that would keep our emergency responders moving. The tours Saturday happened to overlap with the deadliest case of domestic violence on the Kitsap peninsula in modern history, in which Mason County authorities said a man killed four people before killing himself. Kitsap County Coroner Greg Sandstrom said Saturday his office was assisting Mason County with those death investigations. The worst violence prior to the Mason County mass shooting was in 1934, when a man bludgeoned six people to death in what would become known as the Erland’s Point Massacre. Following that case, a sheriff’s deputy is said to have let people walk through the crime scene for a quarter. I’d like to think such a lapse in the investigative process would not occur today. The coroner’s office investigates about 350 of the total 2,000 deaths that occur in Kitsap each year. They focus on traumatic and suspicious deaths, conducting autopsies to help determine the cause of death. They also pin down the manner of death, which can be one of four things: homicide, suicide, accident or natural. Police have the job of investigating the scene of the crime; the coroner’s office has custody of the body. 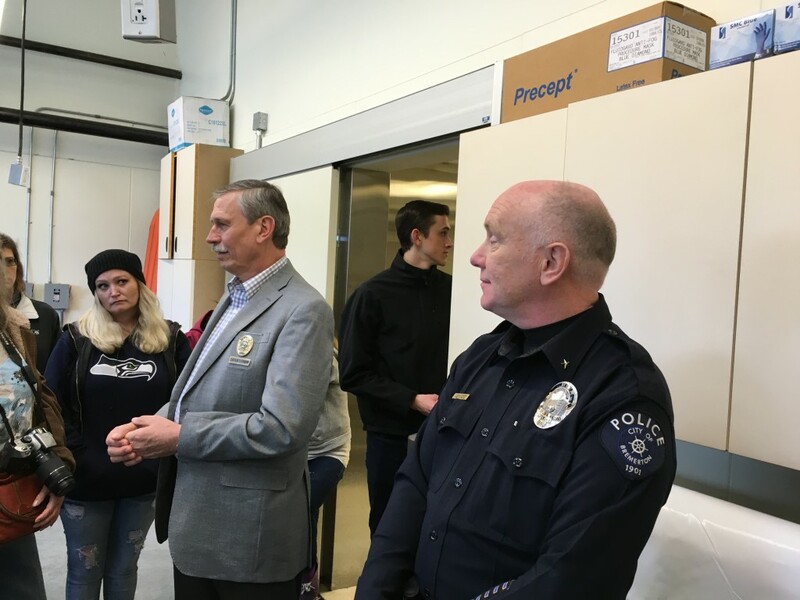 Bremerton Police Chief Steve Strachan came along Saturday and talked of the “honor” involved in death cases — that it is never something his officers take lightly. Sandstrom, who has been Kitsap’s elected coroner since 1998, is a former Washington State trooper and chaplain who talked Saturday of one of the office’s most paramount duties: death notifications. He and his deputies have the task of delivering the news of death to next of kin. 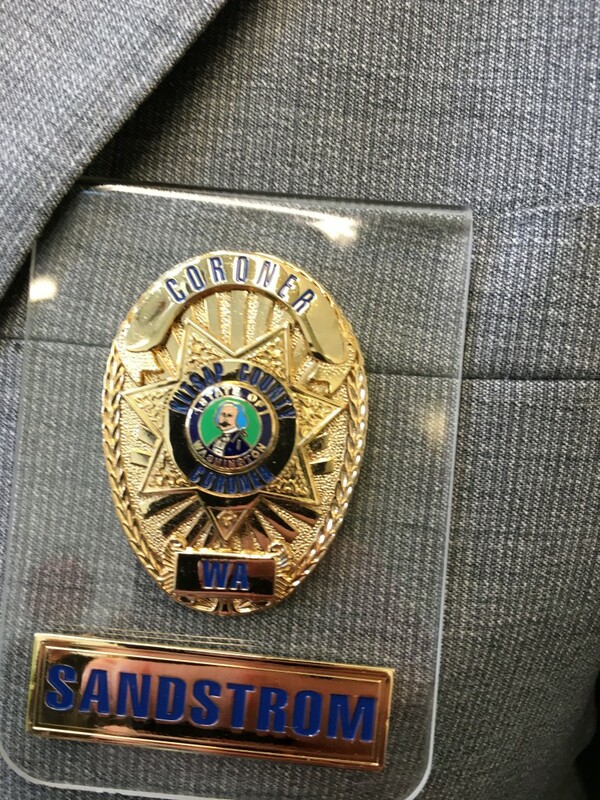 They once did so in vehicles marked “coroner’s office,” but that changed on Sandstrom’s watch, Chief Deputy Coroner Tony Stewart told the crowd. The reason? It made a private family matter something very public when they’d arrive in someone’s driveway. 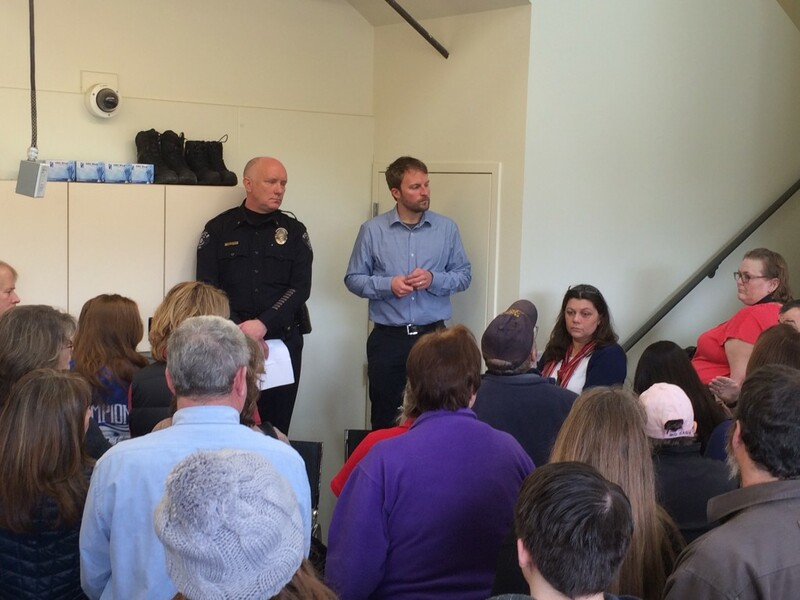 Kitsap County Coroner Greg Sandstrom (left) and Bremerton Police Chief Steve Strachan. The coroner’s office contracts with a forensic pathologist to conduct autopsies. The biggest counties in Washington have medical examiners, or actual doctors hired by the county. Kitsap could convert to that system, as counties over 250,000 residents can, but there’s been no push to do so. Strachan pointed out Saturday that the medical examiner system is costly. Thanks, everyone, who came out on Saturday. As usual, we all learned a lot. Be sure to email me at josh.farley@kitsapsun.com with any questions or concerns. Also, be sure to subscribe to Bremerton Beat updates on this page and I’ll be sure to post an update when I know where the March Story Walk is going to be. Misssed this story walk, am sure this was very educational. I hope perhaps this can be repeated in a number of months. Josh I hope that you will repeat this educational walk before too long. Many folks would be interested.